Built on the exclusive SLP Super Low Profile platform, which is Lew's lowest profile design. 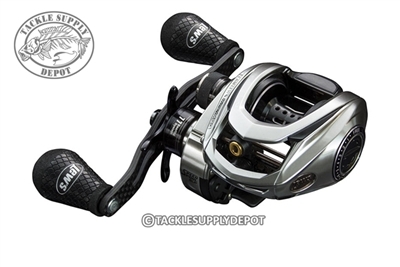 The HyperMag is also Lew's lightest baitcast reel, weighing only 5.4 ounces. The HyperMag baitcaster has a one-piece magnesium frame, C45 carbon sideplates and premium 11-bearing system with double-shielded stainless bearings and Zero-Reverse anti-reverse clutch bearing. Gears are hard-anodized aluminum alloy. 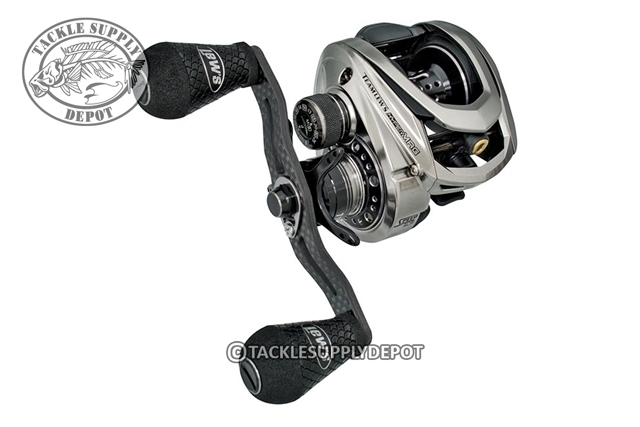 The reel's compact size is made possible by the reel's innovative 32mm aircraft-grade Duralumin U-shape spool that starts and accelerates faster than large spools so it simply handles light line and lures better than traditional-size baitcasters, without compromising power and performance to also be able to handle all other bass fishing techniques.